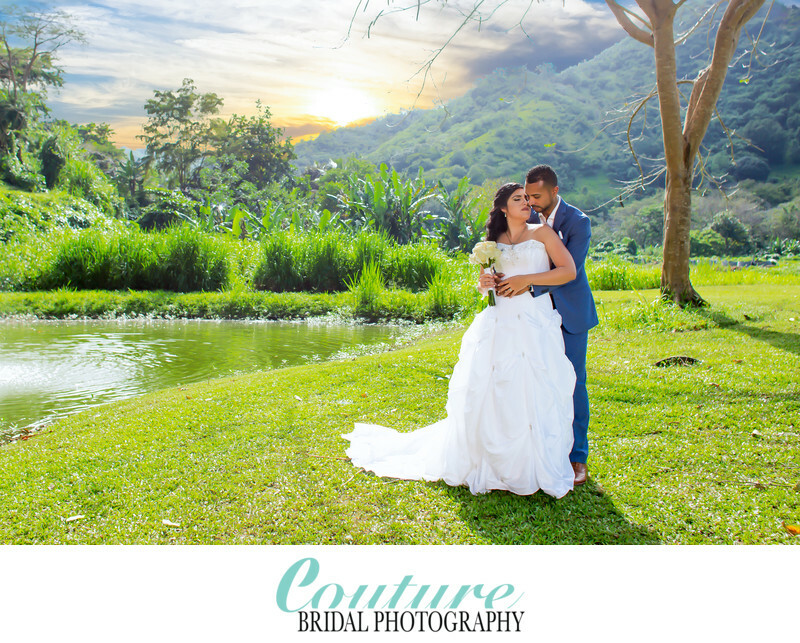 Couture Bridal Photography is a Puerto Rico destination wedding specialist. No other wedding photography studio offers the lowest prices, better photography and wedding photography experience than us. When couples plan romantic destination weddings in Old San Juan Puerto Rico, they are seeking a romantic old world wedding experience. The architecture, the sights and history of Old San Juan bring people to a time and place where romance was hot and love was bold. Couture Bridal Photography provides the story telling wedding photography to capture every emotion, detail, fleeting moment and old world style only Old San Juan Puerto Rico has to offer. I as a native Puerto Rican, born and raised in New York can offer the best wedding photography couples planning a destination wedding in Old San Juan expect. Brides and grooms worldwide choose me and my Couture Bridal Photography team to capture the most compelling story telling wedding photography in Puerto Rico. Additionally, as the leading Old San Juan Puerto Rico destination wedding photographer, I am familiar with all of Puerto Rico's most exciting and spectacular locations for the most amazing bridal portraits a couples could ever want and desire to remember their romantic destination wedding experience in Puerto Rico. As the top rated Old San Juan destination wedding photographer dedicated to providing soon to be brides and grooms with the most amazing wedding photography, our prices for destination weddings in Old San Juan are the lowest in the US and in Puerto Rico. The average couple will spend approximately $2500.00 for a pre-wedding portrait photography session, complete wedding day photography coverage and day after bridal portrait session at Puerto Rico's most breathtaking locations with a second photographer. My Old San Juan Puerto Rico destination wedding photography coverage includes the delivery of all images edited, along with options for heirloom wedding albums and a free 16x20 print. Couples booking Couture Bridal Photography for their destination wedding photography in Old San Juan or other locations throughout Puerto Rico will experience the finest wedding photography anywhere worldwide. Keywords: Bridal Portrait (120), Destination Wedding (27), Hacienda Siesta Alegre (3), Puerto Rico (39), San Juan (33). 1/500; f/4.0; ISO 100; 24.0 mm.